Dermal fillers help to diminish facial lines and restore volume and fullness in the face. * As we age, our faces naturally lose subcutaneous fat. The facial muscles are then working closer to the skin surface, so smile lines and crow’s feet become more apparent. Dermal fillers are a soft injectable gel consisting of stabilized hyaluronic acid which helps fill in facial wrinkles, restoring a smoother appearance. The gel is tissue-friendly and closely resembles the hyaluronic acid that exists naturally in the body. It is long-lasting but not permanent as they are eventually absorbed within body. Dermal fillers help to diminish facial lines and restore volume and fullness in the face giving a youthful appearance. How long will it take for the treatment? 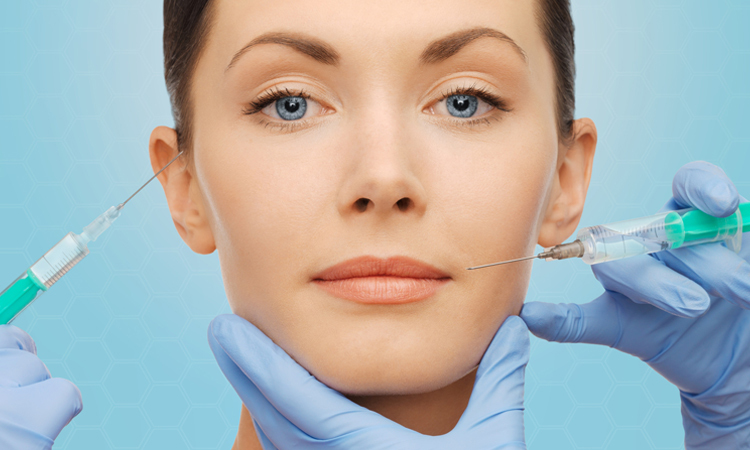 Dermal fillers can be done during your lunch break, taking 15 to 30 minutes after an initial consultation. When done by expert board-certified dermatologists, fillers are not only safe but effective. The result of a single treatment can be seen instantly and results will last anywhere from several months to a couple of years Dermal filler injections can give natural looking results that do not affect facial expression. As your face changes over time, dermal fillers allow you to control you looks subtly as you age. There are two types of dermal fillers non-permanent and permanent. Make sure the solution used is dissolvable so the procedure can be reversed within 24- 48hours. The lowest risk is involved in temporary fillers having hyaluronic acid. Product related reactions are rare. There are some injection related reactions which may occur after any injection including redness, swelling, pain, itching, bruising or tenderness at the injection site. Doctor will write the prescription post the procedure including the do’s and don’ts. Icing the injection sites immediately after treatment helps to reduce swelling and discomfort. It is advisable to avoid applying direct pressure onto the site for several hours after the procedure.